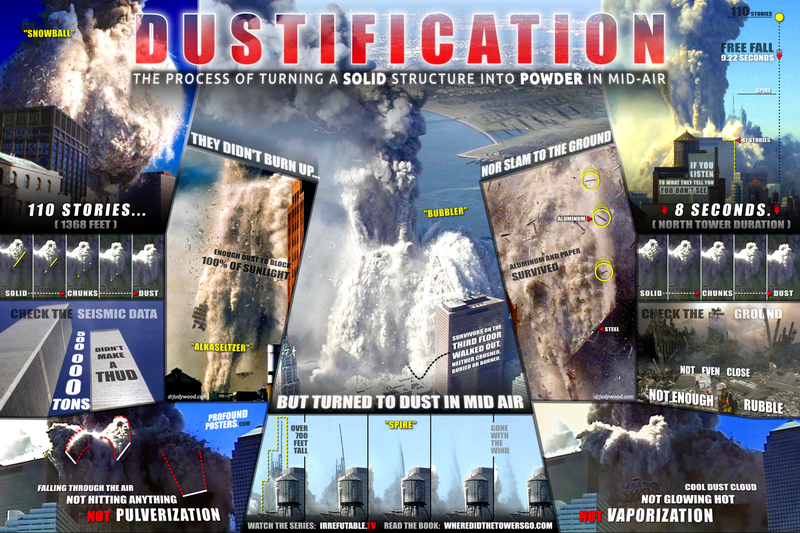 PROFOUND 9-11 Evidence Posters Featuring the Extraordinary Work and Evidence of Dr. Judy Wood as Published in her Groundbreaking Masterpiece – Where Did The Towers Go? 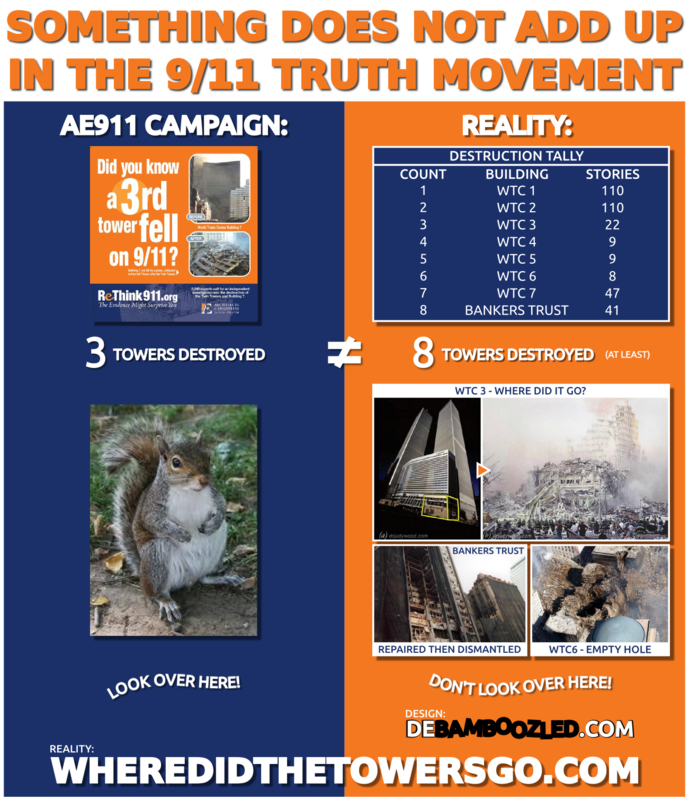 We all know the Official 9-11 Fairy Tale can be proven false by any smart 5 year old. But can we rule out all the conventional, “accepted” alternative explanations in one fell swoop as well? And these posters do just that. USE, COPY, PRINT and SELL these 1080p posters to your hearts content, with all the energy, persistence, and enthusiasm as you can muster! Relationships beware!… Visual evidence of this staggering degree of irrefutability will very quickly reveal the capacity of your friends and loved ones to join you on your journey of discovery. Highest resolution prints available exclusively at our IRREFUTABLE Redbubble Shop. These magnificent visual aids were created by the makers of IRREFUTABLE – Classified Free-Energy Technology Revealed to the World. Watch the series. 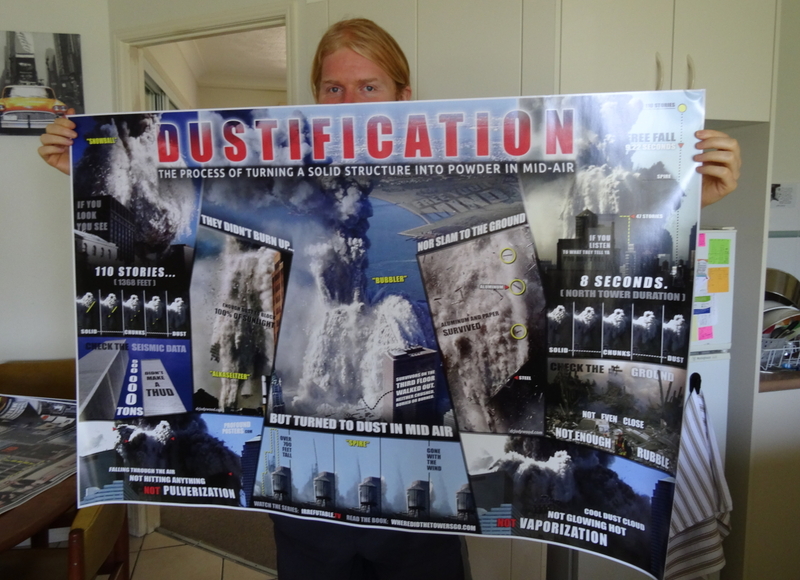 The posters are a supplemental learning and promo tion tool. 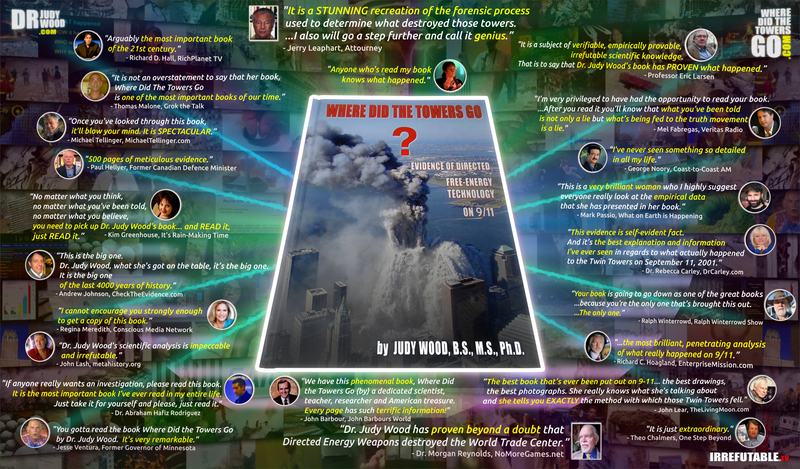 For the full mind-expanding, eye-opening, experience of Dr. Judy Wood’s investigative work, her book Where Did the Towers Go? is a MUST READ. 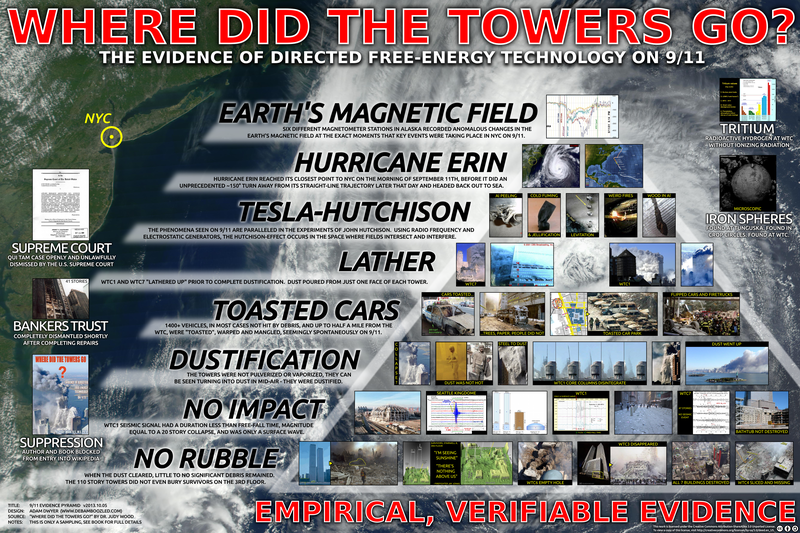 No amount of supplementary graphics or documentary videos presenting Dr. Wood’s evidence will ever replace the invaluable experience of reading Where Did The Towers Go? 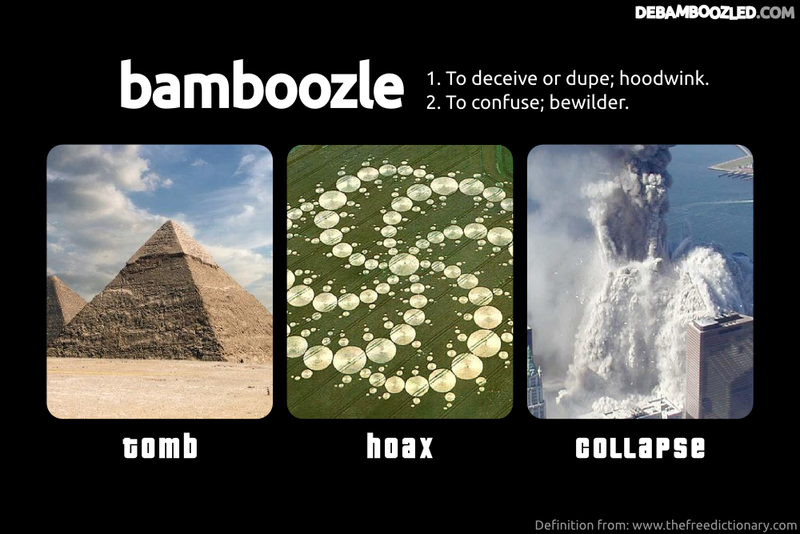 Tagged bamboozle, crop circles, Dr. Judy Wood, free-energy, Great Pyramid, pyramids, Where Did the Towers Go? 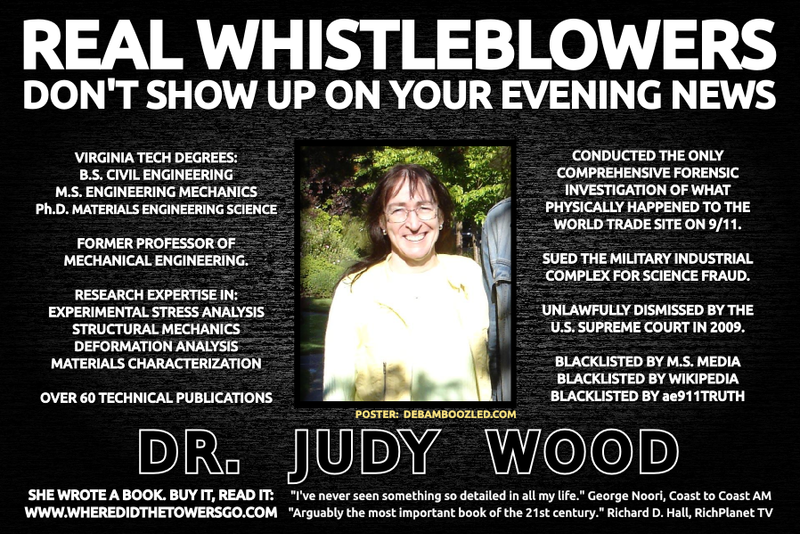 Tagged 911, AE911, Dr. Judy Wood, Where Did the Towers Go? The towers did not burn up, nor did they fall to the ground. They turned to dust in mid-air. Tagged Dr. Judy Wood, Where Did the Towers Go? What about WTC 3-4-5-6 & Banker’s Trust? 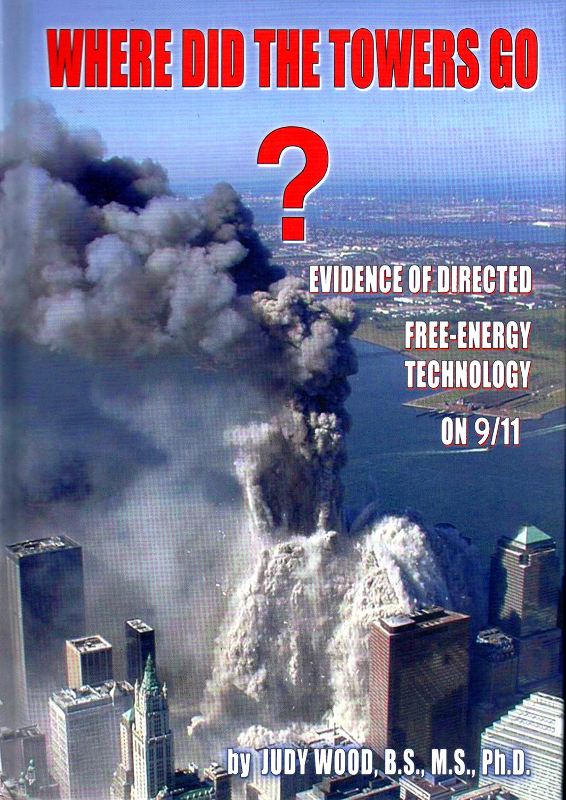 Tagged 9/11 Truth, AE911, Dr. Judy Wood, Rethink 9/11, Where Did the Towers Go? 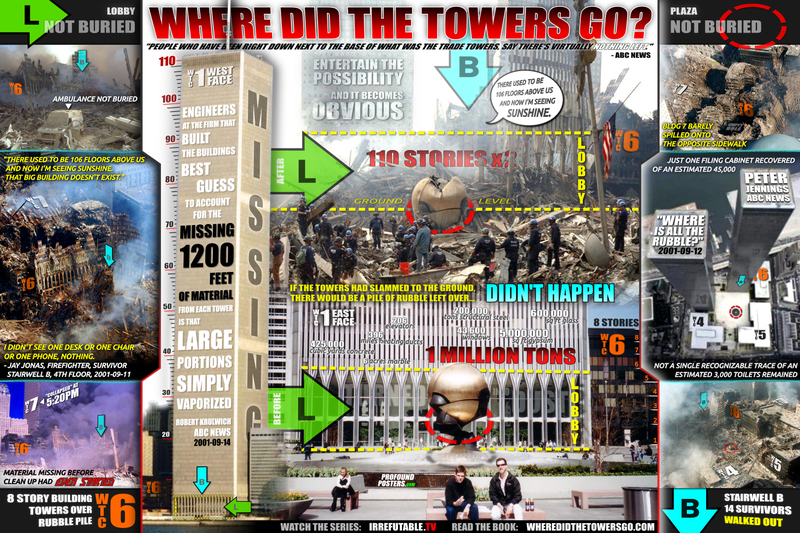 – Educational poster based on Chapter 18 of “Where Did the Towers Go?” by Dr. Judy Wood. – Statements are empirical and verifiable through links provided below. – Free to download, print and use as you wish. Please credit sources. Keeping a hurricane a secret is a sizeable swindle in and of itself, but to be able to keep the public from knowing about a category 3, just miles outside New York City, is nothing less than Orwellian. Even more unthinkable, is the fact that Hurricane Erin’s movements are highly correlated to the single most historic day of our time… 9/11. Is it possible that all of this occurred naturally as a coincidence? Yes. It’s also possible that our sun will go supernova tomorrow. No. It is so ridiculously unlikely that we can say with all but absolute certainly that Hurricane Erin’s alignment with the World Trade Center destruction was not a natural coincidence. When taken into a larger perspective, hurricane control becomes a much more plausible and reasonable reality. It is no conspiracy theory that breakthrough technologies often come out of classified military research. Unfortunately, we must come to grips with the conflicting interests of releasing technology for the good of humanity vs keeping technology a classified in order to maintain military dominance. Hurricane Erin is a critical data point for understanding what classified technology is capable of today. It is safe to assume that since at least 2001, the option to control hurricanes has been available. It is also safe to assume that the same class of technology can control less complex weather systems and events such as flooding and droughts. The implications are dramatic and far reaching. 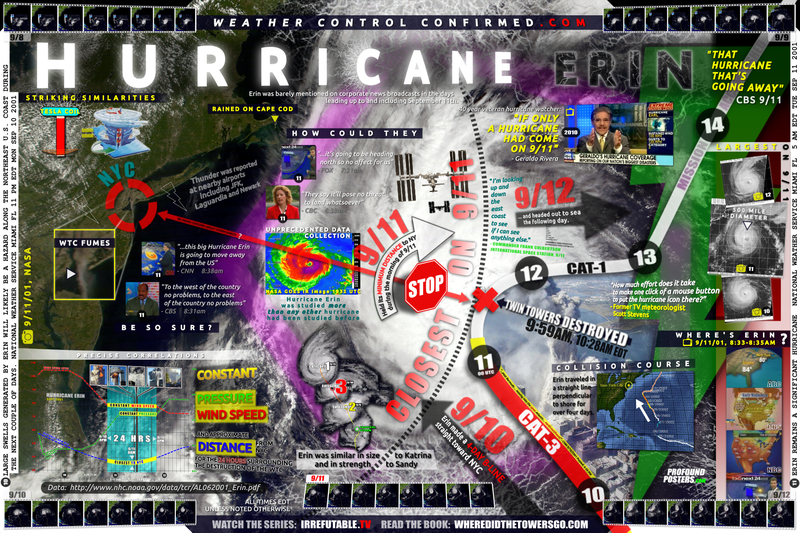 Hurricane Erin is the most straight-forward, easily verifiable, smoking gun demonstration of advanced weather manipulation technology available. Did you know there was a hurricane on 9/11? 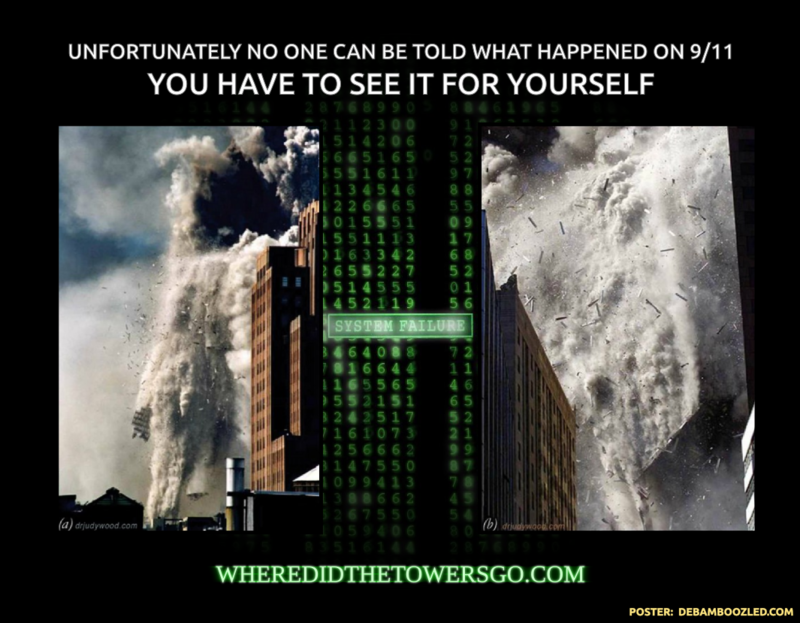 – Educational poster based on the book “Where Did the Towers Go?” by Dr. Judy Wood. – Photos and captions show exclusively what happened at the World Trade Center in NYC on 9/11. – Statements are empirical, there is no speculation required or presented. – Statements can be verified to a large degree simply by examining the photos provided for each. – Sized for printing to 24″x36″ poster, or viewing on a 42″ screen. – Content is based upon the work of Dr. Judy Wood, but not necessarily quoted directly. 1 – Carefully examine each heading, phrase and photo in the poster. 2 – Realize you have been thoroughly hoodwinked. 3 – Order the book. 4 – Learn and share this information with everyone you know. It is fitting to launch this site with a compilation centred around the events of 9/11… arguably the greatest bamboozlement ever orchestrated. Not only is the official NIST report scientific fraud, but the most popular “conspiracy theories” are deliberately wrong as part of a massive disinformation campaign. Dr. Judy Wood has conducted the only comprehensive investigation to determine what happened to the World Trade Center complex. She is the only 9/11 researcher to submit evidence to the courts, filed in the US Supreme Court in Dec 2009. Prior to the completion of this forensic study, its conclusion was unthinkable. Now it is obvious. The towers mostly turned to dust in mid-air. Therefore, a technology exists that can do that. 9/11 is an event of unparalleled significance. A modern day Copernican event, displaying a radical new understanding and manipulation of matter. The whole world saw it, the whole world witnessed a demonstration of free-energy technology. What’s that? You’ll have to see it to believe it? Well, that’s been made easier than you might imagine. Simply choose one of the links below.